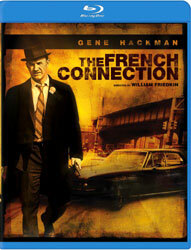 I went through a stack of Blu-rays the other day at a local store and found The French Connection on sale for only $12.98. Wow. Best Picture of the Year, 1971. Gene Hackman won the Oscar for Best Actor, William Friedkin won Best Director. One of the great classic American films. The DVD of this film wasn't so hot, so I was excited to see it in Blu-ray. I brought it home, popped it into the Oppo BDP-83 Blu-ray player, and fired up the Epson 8500UB, anxious to see what this film would look like in HD. As the image splashed onto the screen, my first reaction was bewilderment. Something must be wrong with the projector, I thought. Maybe the dog stepped on the remote? I opened the projector's menu, and everything looked normal. Yet I couldn't believe what I was seeing. The noise and grain were off the chart compared to any Blu-ray film I've yet seen. Shadow detail was obliterated. HD sharpness? Nowhere to be seen. Color? Totally washed out. This is Blu-ray?? Who's kidding who? The plain old DVD of this film was better than this. But as I continued to watch, an eerie feeling came over me--I began to suspect...someone actually did this on purpose. This was not just the result of an accident. This was not just shoddy production values at Twentieth Century Fox. No. This was intentional. Believe it or not, that turns out to have been the case. The director, William Friedkin, decided to make a few changes for the Blu-ray edition. He explains his approach in a video clip on the Special Features disc in the Blu-ray package. In this video he focuses on the reduced color saturation, claiming his objective was to create pastels where saturated colors would otherwise have been. He sits with his colorist in the lab and takes the viewer through the several steps needed to reduce color effects in the film. He used some very expensive video processing equipment to achieve this. Great, I thought. If you like this effect, you can achieve the same thing on any of your DVDs or Blu-rays by turning the color saturation control on your projector down to about 25%. But after I got over the indignation that I might have actually wasted a hard-earned $13, I tried to calm down and understand exactly what Friedkin's point was. And after due consideration, I came to the conclusion that he did have a point after all. The French Connection is a dirty, sordid film, with nasty characters, blurred moral boundaries, and a disturbing lack of resolution. It took much of its tone and character from the B/W film noir tradition of the mid-20th century. In Friedkin's opinion, high color saturation is fine for comedies and musicals, but not so much for a dark drama. For a film like The French Connection, the picture itself should look dirty and grimy--unsettling. And he does indeed accomplish that with this Blu-ray edition. The rendering of the color in low saturation makes it look almost black and white in many scenes. But once you get over the shock that it is not supposed to look like a typical Blu-ray, it is easier to appreciate what Friedkin has done. The reduced saturation does in fact complement the film in a very interesting and subliminal way. The picture was always grainy by design to begin with. In the Blu-ray version, grain and noise compromise the sharpness. The patina of noise is ever-present and usually tolerable, but in darkly lit scenes it can be intrusive to the point of distracting. They went a bit overboard here, trying to make it look dirtier than was warranted. At times it does not look simply like a difficult transfer of a poor master. Rather, in some scenes it looks like the dirtiness is digitally exaggerated. Image sharpness is not only compromised by the excessive noise, but also by the process in which the color is fully stripped out, and then partially overlayed back onto a black and white foundation. 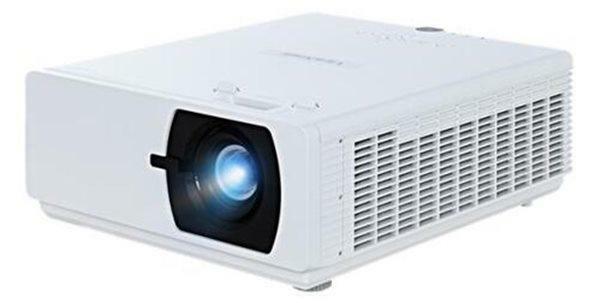 The result is that The French Connection does not look in any way like a 1080p resolution HD version of the movie. Despite the fact that it is on Blu-ray, it is not intended to look like a conventional Blu-ray. Nevertheless, in the end, I am going to recommend this disc--but just for those who want to experience a bit of cinematic history. You certainly do not want to use it as demo material to show off your new 1080p home theater rig. This is something quite different. 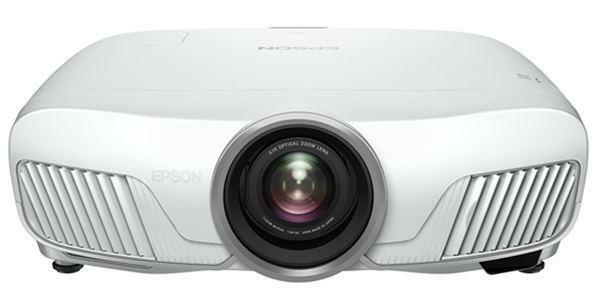 By design it does not take full advantage of the resolution, color depth, or dynamic range that Blu-ray is capable of. This is The French Connection as the director wants you to experience it--coarse, gritty, and unpolished. That in itself makes it quite intriguing. Other than the film itself, the Special Features are worth the price of admission. They include commentary on the brilliant musical score by the big-band jazzman Don Ellis, an interview with Gene Hackman recalling his experience in making the film that made him a mega-star, and a videotaped interview between Friedkin and Sonny Grosso, one of the two New York street cops who broke the actual heroin smuggling case that the film is based on. Therefore, I conclude: My initial negative reaction was based on my preconceived notions of what a Blu-ray movie should look like--high dynamic range, a clean, clear picture, sharpness that reveals every detail. But honestly, that pristine HD image does not work with every movie ever made. In the case of The French Connection, it is counterproductive, undermining the tough, quasi-documentary look and feel of the film. After having seen the Special Features and come to an understanding that this is the director's artistic interpretation of his own work, I see it entirely differently. I do not appreciate everything that Friedkin did with this transfer. To my taste, the grain and noise is quite problematic in some scenes. A little more shadow detail here and there would have been nice. But overall, it is fascinating to see it just as it is nevertheless. For serious students of the cinema, this one should not be missed. In 1971, The French Connection shattered conventional norms of what crime dramas were all about. This new Blu-ray edition shatters conventional expectations about what HD transfers should be. Never, ever, under any circumstances allow a film director in a video control room. They know film, not video. Film is not video. Film is for theaters. Video is for everywhere else. I was stunned at how horrible the blu ray of this movie looked, but unlike Evan Powell, I did not come around to appreciate or respect what had been done by the director, nor did I buy into the idea that the the sordid dirtiness of the characters or the story or whatever somehow made this appropriate. this blu-ray is a disgrace. This transfer is travesty to the original. If you do a internet search on the reviews of this blu-ray edition you will discover that the original Director of Photography condemned what William Friedkin did to this movie. Freiedkin was under no pressure from the studio to "improve the movie." He did this all on his own. Note to self: even if this BD is in the bargain bin, walk on by ; rent the DVD instead. No two ways about it, guys and gals. Friedkin had messed-up his great movie really bad for the rest of us. I guess this was his cheap way of 'reshooting' the film for 'today's audiences.' This is not a 1971 movie, but a 2006 movie, unfortunately. Evan states that "the director's artistic interpretation of his own work" is of some importance. But I say, forget it. My $20 is a lot more important than that. And if I wanted to buy a "reinvented" 2006 movie instead of the classic 1971 edition, then that is what it should state on the cover. Shame on the studio for not including both the normal and the messed-up "improved" version in the box. They already made a ton of money on this classic, now they are getting stingy! Don't buy this director's folly, folks. Once you buy it, you are stuck with it -- no money back, so sorry! Rent it instead, preferably from your local public library if they carry BDs.